The Scottish Korfball Association will compete in the England Korfball Senior Inter Area competition in Banbury on Saturday 19th May. The team is made up of players from the Scotland National and Development squads, all of whom play for clubs in the Scottish Korfball League. Jena Connolly (Edinburgh Mavericks), Harriet Derrick (Edinburgh Mavericks), Frances Holligan (Edinburgh Mavericks), Emma Lindsay (Glasgow), Jen Merritt (Edinburgh Mavericks), Rachel Pennington (Edinbugh University), John Bagnall (Edinburgh City), Jean Fourie (Edinburgh Mavericks), Michael Garbutt (Edinburgh City), Calum Lindsay (Glasgow), Owen Shea (Edinburgh Mavericks). The squad will be joined by National Team Coach Johan Oosterling and National Team Manager Graham Robertson. 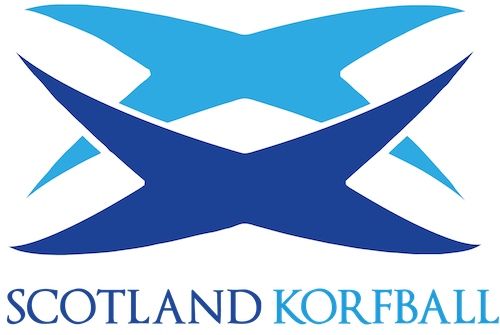 We would like to wish the squad the very best of luck for a great weekend of korfball, Scotland are behind you!